Epiphany – the culmination of the Advent and Christmas seasons. Marked by the visit of the Magi and their unexpected gifts. Their gifts that would provide for Mary and Joseph as they fled to Egypt and would continue to provide throughout Jesus’ life. It is a season of focusing on the life and work of Jesus. Everyone loves Cake! 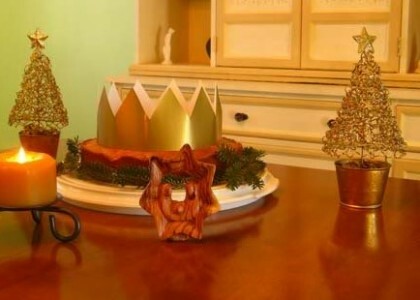 There is a wonderful Epiphany tradition that involves a “Kings Cake”. This could be a fun way to introduce Epiphany in your homes. The special cake has a crown on top and a hidden “bean” inside. The finder of the bean gets to be King for the day, deciding the families activities. Check out “Rhythm of the Home” for ideas, including a recipe for the Kings Cake.